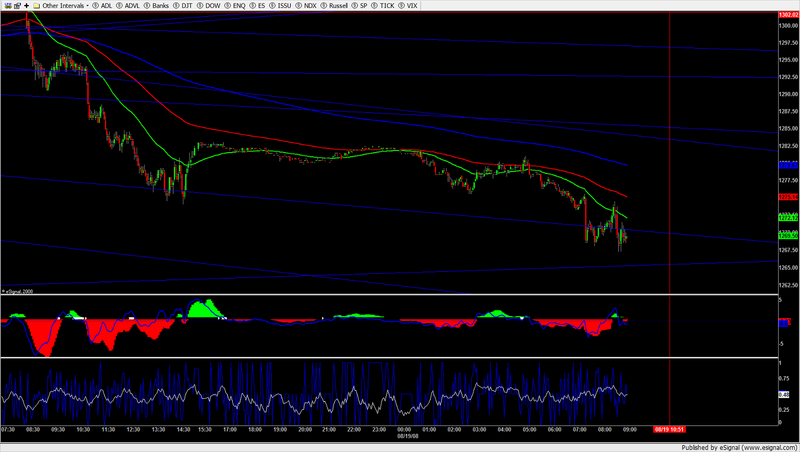 Short 2 es from 1274.75.Good morning all,Well, here we go again! I'm going to wait for the opening range. Prices are trying to trade beneathe oversold levels of the envelope, it's going nowhere with oversold divergence in the stochastic, and the trendline is almost buying resistance. Something's got to give and I'm not going to be on the wrong end of it. I wont be on any end of it. One thing you have to keep in mind as well that these osc. have to be taken with a grain of salt at times because we have had the tightest range in a while which will tend to throw off the osc. We are going to gap below a 6day bracketed market in the ES, thats bound to give oversold signals at first. One bull trendline is lost. 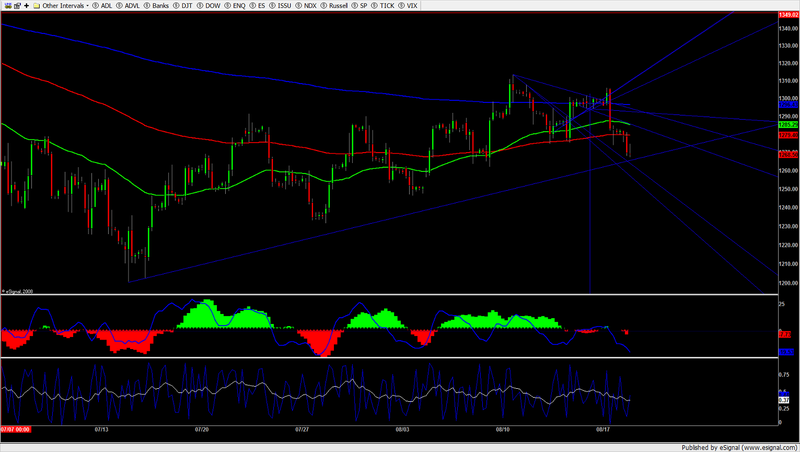 Possible bounce at 65.50 from the entire bull run line. Selling two es at 1268.75 if we get there soon.